Sony has launched the RX100 MK II in India for a price of Rs. 42,990 while the RX 100 is still available upwards of the Rs. 32000 price mark. The RX100 was deemed the best portable point and shoot and the next revision the RX100 II adds to it by bringing some much needed features to the mix. For starters there is a whole new hot shoe mount that even lets you add external audio inputs, a new 20.2 MP sensor, Wifi and NFC is also built into the camera. There is also full HD video at 24/25p and a tilting vari-angle 3 inch display which sadly has no touch inputs. For more details on the camera, read the press release below. New Delhi; 8thAugust 2013: With tremendous response from RX100, Sony India today launched its successor, Cyber-shot™ RX100 II, the first ever camera from Sony with NFC (Near Field Communication) Technology. The new Cyber-shot™ RX100 II from Sony puts even more shooting power in your pocket with added features like the NFC, Exmor R™ CMOS sensor and Multi Interface Shoe. Sleekly styled in strong, light aluminium, it’s a perfect travel partner for quality-conscious photographers who seek DSLR-style images from a pocket camera with generous control options. Building on the superb picture quality of the multi-award winning RX100, the new camera now delivers even better results whether you’re shooting indoors or at dusk without a flash. The newly developed back-illuminated Exmor R™ 1.0-type CMOS sensor increases sensitivity while reducing picture noise in tricky low-light scenes. Combined with the exceptional f1.8 Carl Zeiss Vario-Sonnar T* lens, you’ll see the difference with exceptionally crisp, natural stills and Full HD video in any shooting situation – from parties to night-time landscapes. Wi-Fi makes it easy to connect the camera wirelessly with your smartphone and transfer photos or videos for easy sharing. It’s also the first ever camera from Sony with NFC (Near Field Communication) technology, giving the extra convenience of One-touch connection with Android smartphones and tablets. There’s no set-up needed – simply touch your mobile device against the RX100 II and a wireless connection is made instantly. One-touch Remote even lets you trigger shutter release from your smartphone — great for group shots when you don’t want to be left out of the action. The camera’s enthusiast appeal is further enhanced by a new Multi Interface Shoe and Multi Terminal. Expand your photographic capabilities by attaching optional accessories – including an electronic viewfinder, powerful external flash and stereo microphone – via the versatile Multi Interface Shoe. The Multi Terminal also allows the addition of other options such as a shutter-release remote controller. The bright, detail-packed 3.0-type White Magic™ LCD now tilts up and down, giving greater freedom to compose shots in comfort. Hold the camera high up to reach over crowds, or get down low and see things from the perspective of pets and children. Full HD video modes are expanded with the addition of 24p/25p shooting for smooth, cinematic movies. Other refinements include a step zoom function that’s accessible via the camera’s customisation menu. Instantly choose from five popular focal lengths using the control ring – 28mm, 35mm, 50mm, 70mm or 100mm: it’s an intuitive alternative to zooming in and out when you’re in a hurry. Introduced in June 2012, the Cyber-shot™ DSC-RX100 is world’s first compact fixed-lens camera with a 1.0-type 20.2 effective megapixel sensor. 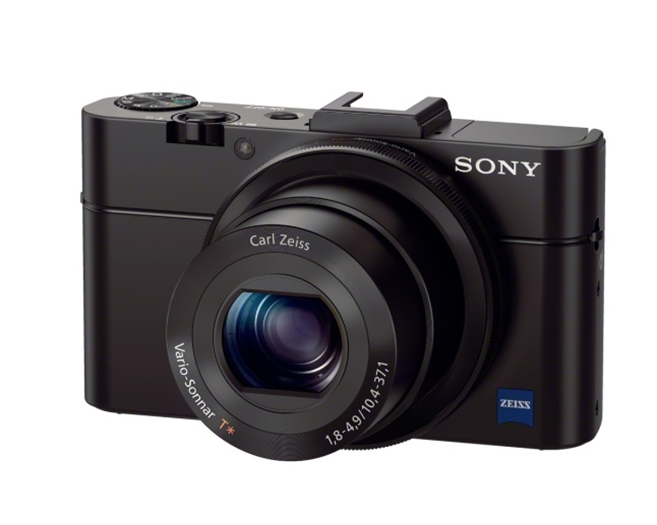 The new Cyber-shot™ RX100 II digital compact camera from Sony will be available across all Sony Centers and major electronic stores across India from 8th August, 2013. From where can i purchase the Sony RX100 MII at Delhi or Gurugaon? Is there any authorized showroom of Sony available? can any body give their email address?